As someone who attends school in the South and is at least an hour’s drive from any major cities, spending time in LA was like stepping into an alternate universe. It seemed that every corner I turned presented a variety of new wellness restaurants, fitness studios, and holistic healing shops. There was a wellness “culture” so unlike anything I had experienced even in my home city of Denver, Colorado. My time in Los Angeles left me feeling inspired and excited to find new ways to incorporate wellness into every aspect of my life and to seek out hidden gems in my own city! I loved Cafe Gratitude so much I went twice! Each item on the menu corresponds with an affirmation meaning you’re surrounded by mindful love and intentionality from the second you walk through the door. Their all-vegan menu is jam-packed with deliciously fresh juices, smoothies, sandwiches, salads, grain bowls and more! My personal favorites? Committed, Giving, Gifted and Refreshed. I was so happy to learn that Outdoor Voices had a brick and mortar store in Melrose (because we all know that cute workout clothes make hitting the gym so much easier...). The space was absolutely beautiful, full of natural light and lined with their signature kits in all the colors of the rainbow. The women who worked there were so helpful and kind and having never tried any of their pieces before I was incredibly impressed with the quality! I picked up a pair of leggings and will certainly be ordering more. While you can order online, if you’re in Los Angeles, I recommend checking out the store. 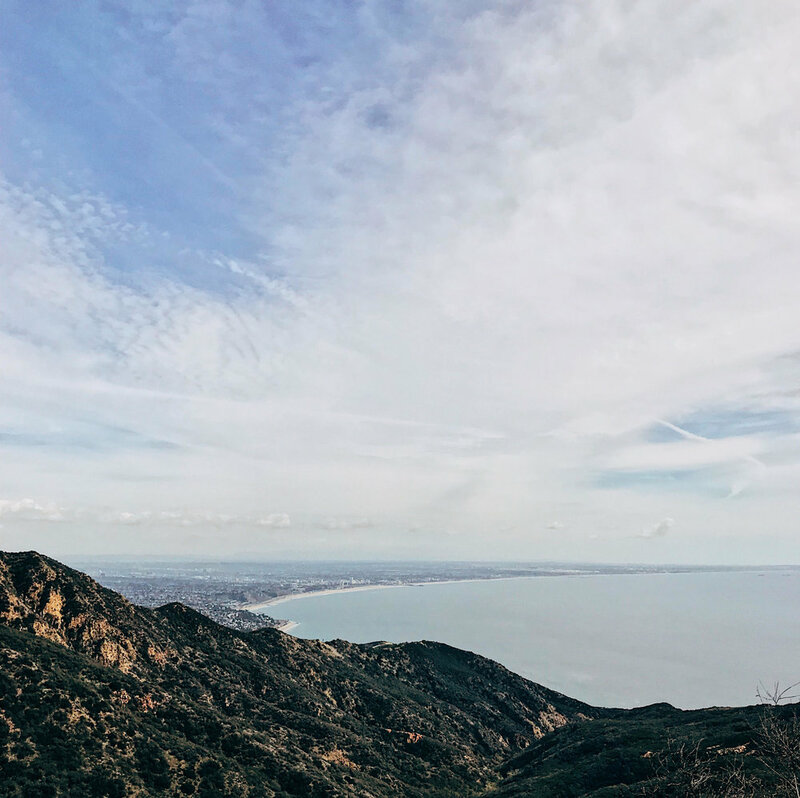 Wanting to spend as much time as I could near the ocean, I ventured out to Malibu Canyon for a beautiful hike with some breathtaking views. While the drive up to the trail is a bit lengthy, you are able to ooh and ahh over the extravagant homes that line the winding roads. Having followed Amanda Chantal Bacon’s career for a few years now and being a huge lover of all things Moon Juice, I knew that visiting one of her storefronts was going to be a must. I got a delicious turmeric and avocado smoothie from the Melrose Moon Juice location and was really impressed by not only how crisp and clean the store was but by how gracious and enthusiastic the employees were! While the prices here are really steep, it’s worth going to. My favorite products? Their brain dust, spirit dust, and deep chocolate protein powder. For me, Erewhon was an amazing place to discover small brands that I had never heard of or encountered before. Anyone who knows me will tell you that my biggest weakness is chocolate and there were tons of really cool all-vegan chocolate brands that I had the opportunity to try. 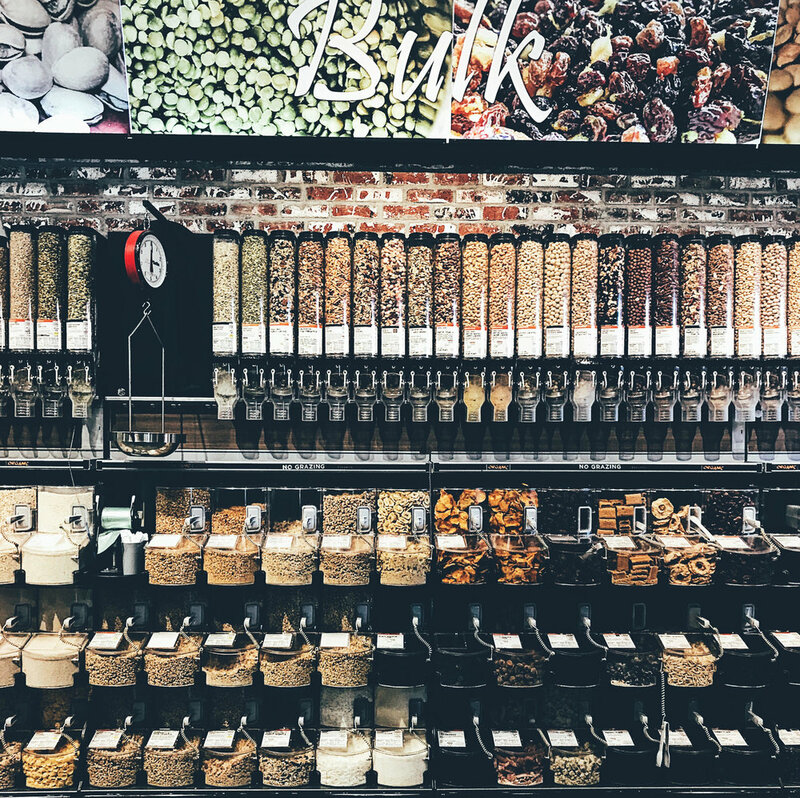 Like many of the wellness spots in LA, however, the prices at Erewhon are very steep so make sure you shop around to find the best prices on your favorite products. Do you have any favorite wellness hotspots you've discovered through traveling? Share with us in the comments below!